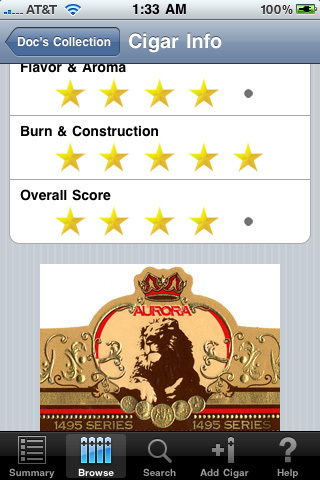 The cigar blog Stogie Fresh recently developed a nifty iPhone app powered by Factual data. 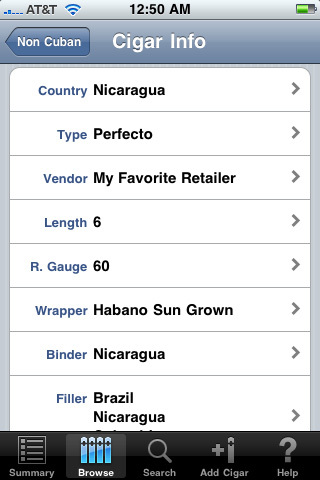 “Doc’s Stogie Rate for iPhone” app allows you to keep track of your cigar collection, rate and log tasting notes, and access detailed information about any cigar of your choosing (size, shape, country of origin, etc.). For all you iPhone-wielding, cigar aficionados, this one’s a no-brainer. 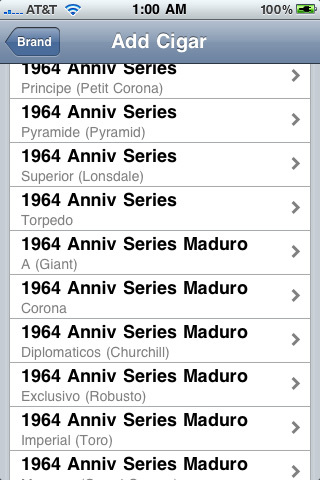 The app draws data from our comprehensive cigar database, which includes 2,603 unique cigars. 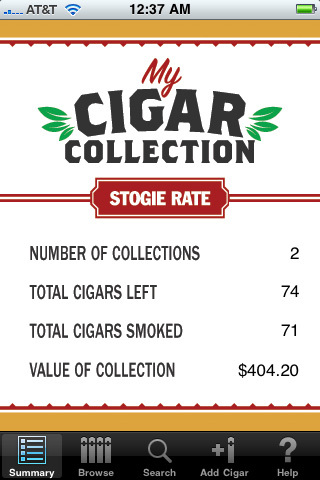 “Doc’s Stogie Rate” is yet another great example of how developers can use Factual data to build exciting, “fresh” applications. We look forward to seeing more fun apps powered by Factual in the coming year. Happy 2010…and enjoy those stogies.